The Community Expert group is a prestige group of community members that know SmartBear products like the back of their hands and are always ready to answer any questions. SmartBear Experts are volunteers – they do not work in SmartBear. However, Experts get many benefits from SmartBear, as well as well-known recognition in the Community and in social media. You can find the full list of the community experts on the page below. Note that the list is regularly updated. Alexei earned more than 2800 Reputation points so far. And, he’s keeping learning new SmartBear products, helping community members and sharing his experience. Please join me in welcoming Alexei getting into the Community Expert group! Since 2011, I have been running online and on-site courses on TestComplete and testing automation for independent students and companies. I also actively participate in different forums helping others solve problems as fast as possible. The main principles I follow in my training are simplicity and brevity, especially when explaining complex things. Gena earned more than 1700 Reputation points so far. And, he’s actively participating in different forum discussions. Check them here. Please join me in congratulating Gena! Phil is part of our community since 2013. Thanks to his continuous activity and the willingness to learn TestComplete, in less than a year, he earned a high reputation and became a Community Expert! I first started using Test Complete a little over a year ago in Arc Innovations. The system I am testing involves Oracle/SOA technologies, MongoDB, a JQuery/Bootstrap Browser front end as well as plenty of depositing files via SFTP and testing updating of the various repositories upon file processing. Test Complete is vital in our automated testing as it offers the full breadth of testing capabilities not available with other test tools. Robert has a long history in our community. He joined us ~15 years ago when learning AQtest – the first TestComplete version. 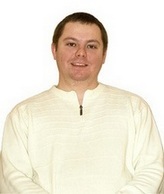 Thanks to his active participation in our newsgroups in the middle of 00s, Robert became a member of TeamAQA – the group of AutomatedQA product professionals (later, AutomatedQA was renamed SmartBear). It means that I see my job as doing my best to make sure that, before an end user receives the software developed by whatever company I call home, I've done my best to shake out all possible problems with the application. It does what it is supposed to do and doesn't do anything it's not supposed to do and it does it in a way so that the user wants to keep using it. 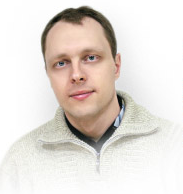 Meet our first SoapUI Expert - Mark Lehky. 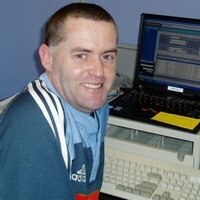 Mark has been working with test automation in multiple industries since 1999, mostly testing back-end server processes. It was natural to move into testing APIs and starting to use SoapUI around 2010. This was the time when Mark joined the SoapUI community. He blogs at http://siking.wordpress.com and keeps in touch via http://linkedin.com/in/marklehky. 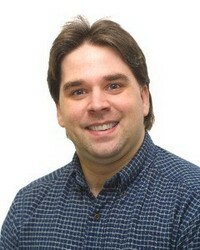 In 2014, he was one of the primary authors, along with Ole Lensmar, of SoapUI's "API Testing Dojo" http://soapui.org/dojo . He currently lives in Las Vegas and spends as much time as possible riding his motorcycle. I'm back. I had a job change since the last time so it took a while for me to get back around to reconnecting... but, here I am! Now its my turn to say "I'm back". After several years of not using TestComplete, I changed my job and work with TestComplete again, therefore will be able helping on the forum.